R&D Investment and Impact in the Global Construction Industry brings together contributions from leading industry researchers in a diverse group of countries to investigate the role of research and development (R&D) in the construction industry. Investment in R&D is a proven factor in economic growth, and helps develop a more productive and innovative industry. This book explores how policy makers and industry leaders can better target future investment; and how industry and researchers can manage their efforts to improve productivity whilst addressing the environmental and social needs of their communities. Case studies present projects where R&D ideas funded by both the private and public sectors have been translated from research into practice or policy, and examine drivers, successes and barriers to the delivery of R&D in industry. 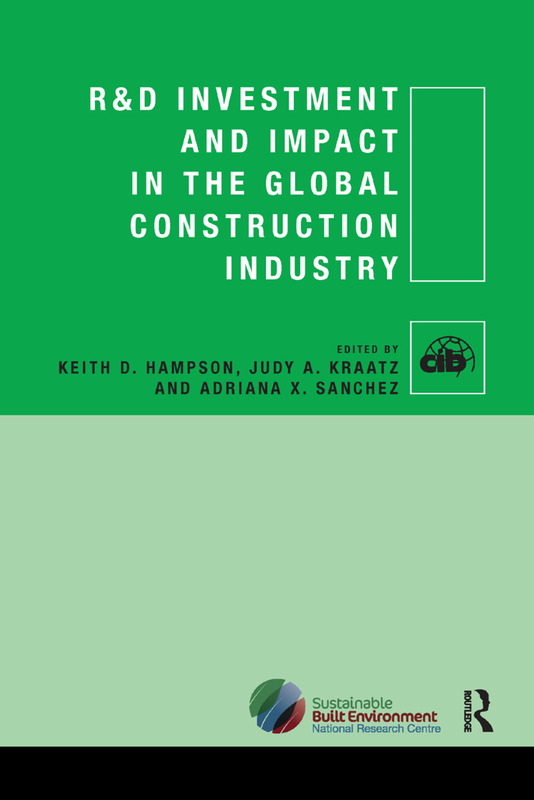 Based on research from members of the CIB Task Group 85 (R&D Investment and Impact) and concluding with key insights for maximising the impact of R&D in the future, the book holds valuable lessons for practitioners, policy makers and researchers across the international construction industry.